We gon be closed, dawg. Hobbymaster Event Centre Presents: Magic Anniversary Weekend! We skipped a week... Whoops. Hobbymaster Event Centre Is Recruiting! We need new workers because everyone is leaving us! 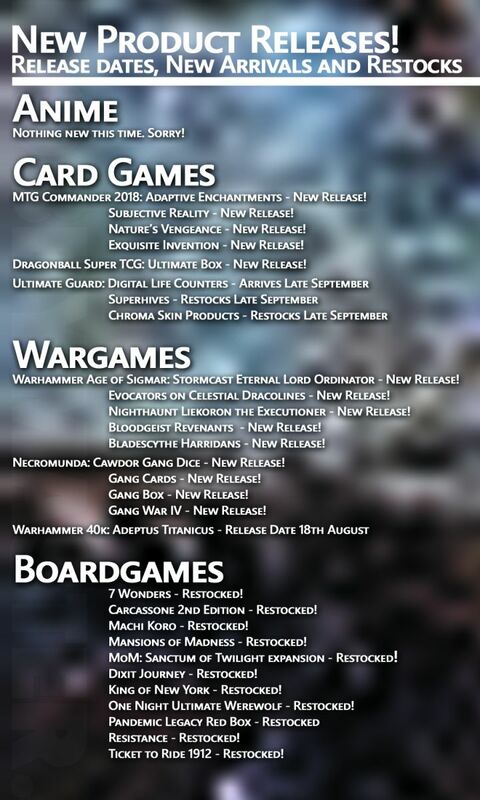 The newest edition of the Hobbymaster News! Da-da-da-daaaan! The Hobbymaster News has arrived! Bam! It's the third Hobbymaster News! The fortnightly news arrives again! The first fortnightly Hobbymaster News, keeping you updated since 2018! Hobbymaster Championship Circuit: Modern And Standard Cash Prize Tournaments! Magic players! Hobbymaster Event Centre is proud to announce some exciting news. Starting in September, we will be hosting monthly tournaments with cash prizes!